As many of you have come to notice, being listed with a credit bureau agency is a nightmare of sorts. It limits your opportunities and makes your life a little bit complicated. Financial lenders handle all your applications with suspicion and getting a better deal with mobile phone providers becomes somewhat wishful thinking. Well, it is not how bad your credit score is that makes the difference but how much you are willing to repair it and get into the good books. Unfortunately, there is no other way of going about repairing your credit report than taking the proactive approach. You need to make the effort, change how you deal with your finances, and effectively manage your debt if you wish to come out tops and smiling. However much you might want to downplay it, the reality of the matter is that it pays to have a good credit score. The peace of mind, the ease with which you have your way with lenders, the attractive perks just to mention but a few are things you cannot simply ignore. 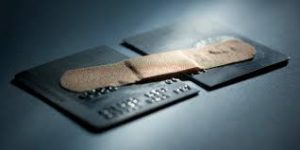 In light of this, what are some of the underlying benefits of credit repair for an individual reeling from bad credit? Why is it helpful to undertake credit repair? Unlike in the past, insurance companies nowadays peg their premiums based on a person’s credit score. In no uncertain terms, it simply means that those with a good credit score enjoy reasonably priced insurance policies while those with bad credit contend with highly priced ones. For this reason, alone, there is every reason as to why you should endeavour to repair your credit report. There is no denying that individuals with a poor credit score do pay high-interest rates on mortgage facilities which if not checked leads to further debt and worsening of the credit score. On the other hand, those with a stellar or good credit score enjoy affordable and reasonably set interest rates. The interest rates, as well as the mortgage loan terms, are favourable. They also enjoy a high credit limit as compared to those with a low credit score. As such, if you wish to get affordable and attractive mortgage loan facilities in the future, you should embark on the journey of credit repair now! Long gone are the days when employment was largely hinged on a person’s resume. Nowadays, employers are more interested in hiring financially responsible individuals and therefore credit reports have become fundamental in the screening process. Basically, employers run credit checks on potential employees to ascertain whether the applicant has unpaid spouse support, child support, bills, or any verdict against them. 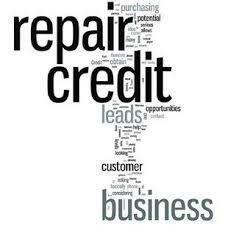 To improve or increase your chances of employment in the future, it is essential that you embark on credit repair. The sooner the better! In conclusion, credit scores have a way of affecting you and your family in a number of ways. To be on the clear or the safe side, credit repair is of the essence. You will, a couple of years down the line, be grateful that you took the first step in repairing your credit today.